Two issues of RCP.ML2K.PDF will be included in the exhibition I’ve Zine the Dark­ness at the Dieschön­estadt Gal­lery in Halle Germany June 2011. 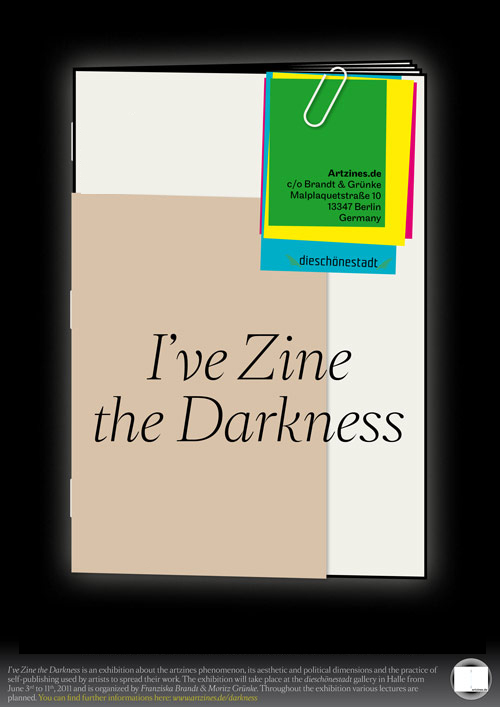 I’ve Zine The Darkness is an exhibition about the artzine phenomenon, its aesthetic and political dimensions and the practice of self-publishing used by artists to spread their work. The exhibition will take place at the Dieschön­estadt Gal­lery in Halle, Germany. Various lectures are planned to accompany the exhibition. The exhibition is a project of Artzines.de. 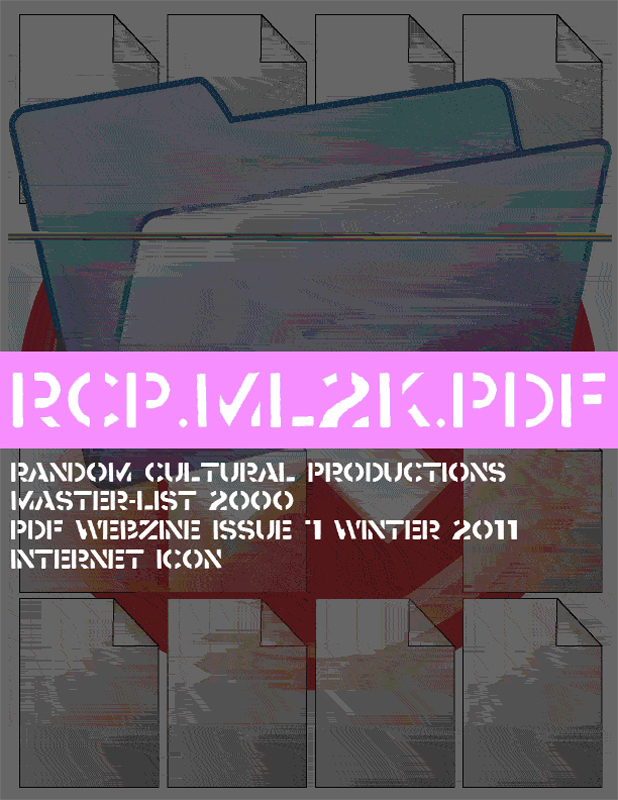 Previous RCP.ML2K.PDF Issue #8 Out Now! Next Wall Label Mad Libs!